FROM Reno, take I-80, exit 116. Turn West on CA-193 and go about 10 miles to the town of Lincoln. Turn right onto US-65 and go about 15 miles. 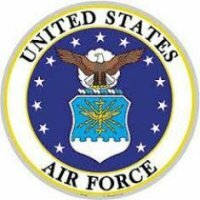 Turn right onto South Beale Rd, Beale AFB, four miles to the Wheatland gate. Continue on gate road (J street), past gas station, to Doolittle Dr. and turn right and go approx. 1.5 miles. Turn left onto C St. for approx. 1 mile to office (Bldg 26232, corner 34TH and C St. All incoming guests will check in at office prior to parking. ---- FROM Sacramento, take I-5 north 12.5 miles to Exit 525B to CA-99. Take CA-99 18.2 miles then take Exit 319 to CA-70. Stay on CA-70 then take the Feather River Blvd exit (signs for Beale AFB) and turn right. Make an immediate right turn onto Beale Rd and get into left lane. About 1/4 mile turn left to stay on Beale Rd. Gate is about 6 miles ahead. Although there's barriers at the gate, there's room to carefully maneuver large vehicles. Once through the gate follow Beale road. If you don’t feel comfortable with going through the barriers, stay to the right. They will open the other gate the trucks use. When you get around the large bend in the road, Beale Rd turns into 6th St. Shortly after the bend make a left turn onto J St. Go about 1.5 miles and make a right on 27th St. Make another right on Doolittle Dr and go approximately 1.5. miles. Turn left onto C St. for approximately 1 mile to office (Bldg 26232, corner 34TH and C St. If you can’t make a U-turn there, follow the gravel road around the building. Accepted up to 45 days in advance. Reservations made less than 7 days in advance will be first come, first served. Free WIFi in park, best reception in the community room. Good Verizon 4G signal. 2 pets permitted with usual leash and clean-up rules. Stay limited to 90 days. Higher rates are for DOD and civilians. RV's MUST enter through either the Main Gate (N. Beale Rd) or the Wheatland Gate (S. Beale Rd). Discount of $1 per night when staying a full month. Community room, RC airplane field (open to guests). Only just got here, staying one week. Beware main gate, (Schneider) is closed. Height limit on Doolittle gate is 13' I had to turn around and go through the Wheatland gate, clearance is 15'. Other comments posted on April 2017 are accurate. My comments, all sites are back ins in a circle so check first for easiest way to enter also there are thistle burs making it somewhat tough on pets. Visit the MUSEUM OF THE FORGOTTEN WARRIORS it's amazing just a few minutes outside of Beale. We had a 43' 5th wheel. We came up from Sacramento using the directions on this page rather than following our GPS and have sent the administrator updated directions. Checking in was easy and after driving around the building on the gravel road, we made it into our site with no problems. We were assigned Site F2, a long and sufficiently wide asphalt parking pad. The slope to the loop was significant but we were able to level using some shoring under the tires (don’t like having the front tires off the ground) and then got the jacks down. The camp’s WiFi is usable (from our site) some of the time depending on the time you connect. Best early in the morning and late at night. We did have a good Verizon 4g LTE signal. We also were able to get a strong Directv satellite signal. Diesel fuel is not available at the gas station nearest the park, only at the one near the Vasser Lake gate. The laundry facility only has two washers/dryers but one of those was not working during our stay. The park manager is great and very helpful. We will return. If you want some peace and quiet this is the campground to visit. Located about 15-20 minutes from town, the base encompasses 25,000 acres of which only a small part are used. Lots of rolling hills and even a few cows are around. Plenty of room to walk the dogs or ride your bike. Campground is set up in 6 circles with 8 back-in sites in each circle. 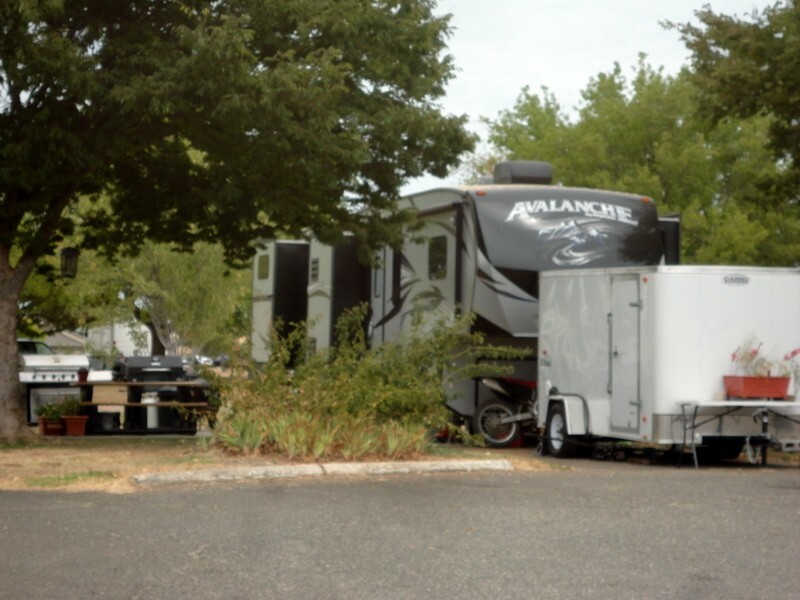 Our site was level asphalt and plenty long for our 42' 5th wheel and truck. Small patio and picnic table at each site. Laundry room and fishing lake are also on site. Commissary and exchange on base along with a bowling alley and movie theater. Free wi-fi which can be spotty and our satellite had no problem here. Friendly office staff, but office is open only 9-12 weekdays. Lots of fulltimers that have been here a long time. I believe it is their permanent residence. Not sure how long you are "suppose" to stay or if there are any rules. Office staff said they have to turn a lot of reservation request down......maybe if they had rules about length of stay it would help! Not having a reservation, and arriving on a Sunday, I went to the "Fam Camp" office to get the number for the host. They are very helpful, and found me a spot for a couple of days. They meet me at the park with a hostess packet and showed me where the spot was. They were very friendly. After hook up I took a shower and watched some TV. Things at this point are great. After about one hour I get a knock at the door. I answer and a gruff little man asks what my name is and lets me know that I can't just pull in anywhere I like. I try to explain that I got help from the number at the office and he tells me the guy was wrong. At this point I can tell you I will not be back. I thought the first part of this was great, but it's people like the little old bitter man that makes camps like this unwelcome. The whole thing could have went differently with a different attitude. I would think the purpose of a camp Host is to make the camp nice, help people, make them feel welcome. Starting this June I stayed at Grand Forks AFB, Minot AFB, William Henry Harrison, Mountain Home AFB, Kingsley Field, and now here. I had great fun and all of these places were great in there own way except this one. Even if the Base is fun, this one person will ruin this camp for me, and that is sad. We just completed a 10 day stay at Beale – nothing has changed since our last several visits. As usual, there is quite a cadre of homesteaders and the Wi-Fi is pathetic. Tangent time: Every wonder why you can’t get a reservation at a military RV Park during prime vacation time? 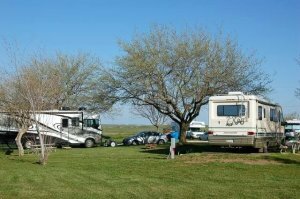 Chances are the RV Park has an abundance of homesteaders occupying the best sites. 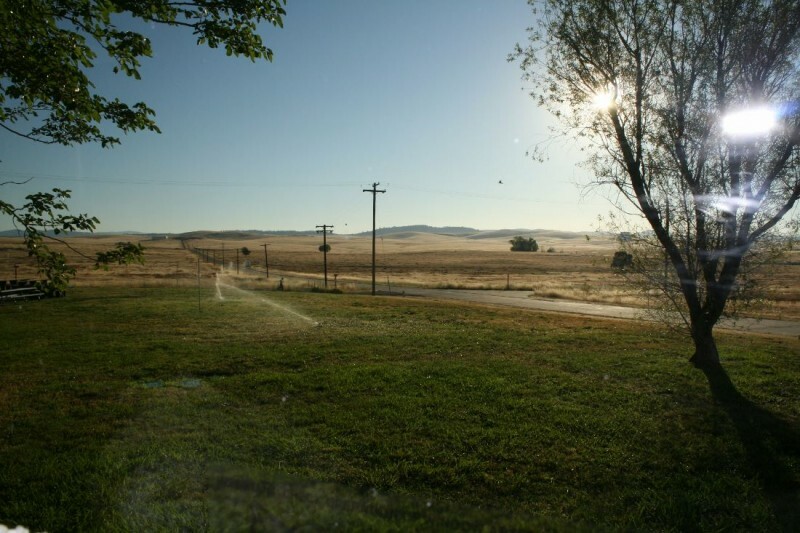 There is an interesting perspective about homesteaders in the forum section of this website. Poor Wi-Fi service seems to be the norm at many of the military RV Parks. RV Park management response is always the same: “We are aware of the problem and are working on it”. Sadly, nothing ever seems to get fixed. If you can’t provide a good service, don’t advertise or offer it. Enough venting. Let’s move on to some fun and positive things. We like coming to Beale because we find many things appealing. The paved and lighted walking trails are great. If you are a shutterbug, you can find many scenic views of the landscape and wildlife without having to travel off base. For us, Beale offers a great basecamp for playing “day-trip” tourist in the surrounding area. There are too many great attractions in the local area to mention all of them. During this stay we took a trip to the quint little downtown of Placerville, CA., hometown of the late Thomas Kinkade. Our mistake: we should have planned at least a two-day venture. You can get to Placerville quickly by going to Roseville and travel east on Highway 50 to Placerville. That approach will give you plenty of time to wander around the town, have lunch, and browse through the shops. We took a different route to Placerville and regret that we didn’t do a good job with our homework. We could have easily spent multiple days traveling and stopping along the 48 miles from Auburn, CA to Placerville on Highway 49. The scenery along the route is very picturesque. There are several parks that offer easy and challenging hiking trails, as well as, access to the American River. If you are the adventurist type, there are businesses offering river rafting trips on the American River. River rafting looks like a lot of family fun, but at our age we think we’ll pass on that adventure. Sutter’s Mill, where gold was discovered in California, is another highlight along Highway 49 and the American River. If you are into quint little historic downtowns then you may enjoy visiting Nevada City, CA. Easiest way to get there from Beale is to use the Grass Valley Gate, go east on Highway 20, then north about 7 or 8 miles on Highway 49. For us, it was a day-trip to Nevada City that was fun and interesting. This is our first time at this FamCamp and we had a good experience. Yes, there are active duty full-timers (altho for how long each one stays? 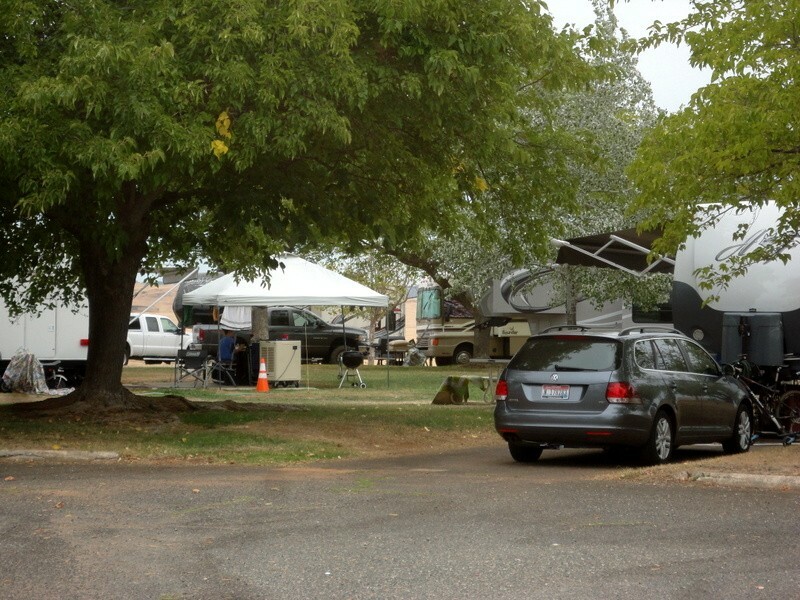 ), goodies stashed outside a lot of the RV's and the occasional dog visit, but no loud music or other disturbances. It is, after all, their FamCamp that we are allowed to share. No trash or debre lying around, facilities and grounds in good order and repair. Rodents? Ants and rattlesnakes? They are there for sure, but we didn't experience any negatives from that source. Staff was cheerful, helpful, polite and eager to please. Each site is well positioned, and LOTS of room between each one. The numerous shade trees should make the warmer weather easier to enjoy. Commissary and BX are not far away. It was a quiet, peaceful two day rest from traveling. After all, it is an AFB and sure to have the noise from normal operations, but that is the sound of freedom. Our rating for "Location" is because this FamCamp is "remote" from the majority of the base, but then the base is also remote(about 6-7 miles) from "townies". I don't know what to say about Beale. Its in the middle of nowhere, hot, and well cheep. Value for the dollar is at the top. 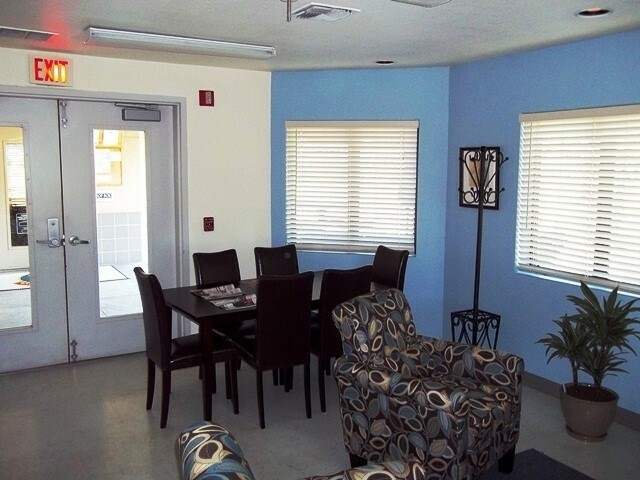 Facilities that are available are nearly new and in good condition. But no tv, spotty internet. and poor cell service mean that you are really in the 60s. It was great had good time. Only had to move (relocate) one snake. I here that is a record. This is the third or fourth time we have stayed at this location. The quiet seclusion and the cost is why we come here and it is the only things that keep us returning. 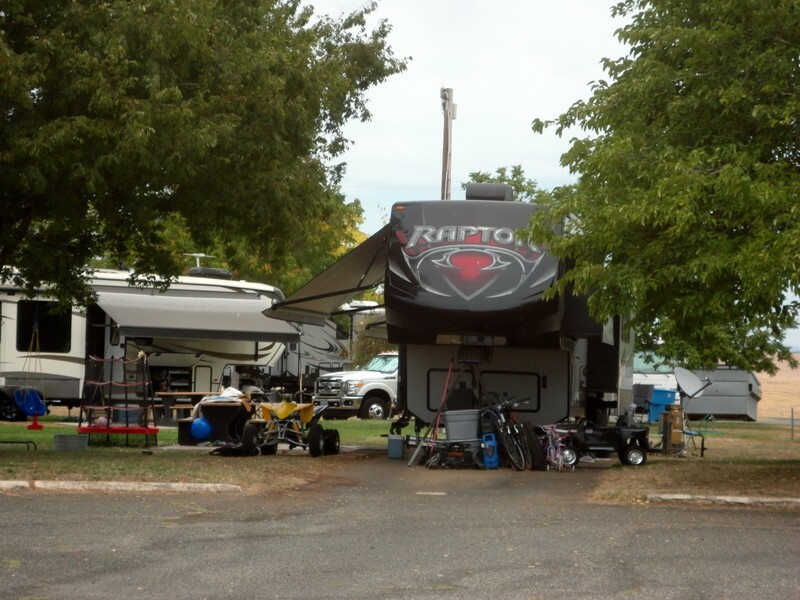 This review is for those of you who generally have famcamp like expectations while RVing. My biggest complaint is that well over 25% of the spots are being lived in full time by active duty and retirees. One fellow we met has been there over 3 years. Active duty expect to remain in place until they are relocated. How do I know this? I certainly did not ask. The place really looks like a low class trailer park in the areas occupied by the residents. I'll attempt to attach a few photographs rather than go on. There are no rules given to anyone when they arrive. To do so would mean that they would have to be enforced. Dogs are tied out. Kids are running around the entire park unattended. Dog crap sets where it is dropped. Multiple vehicles and storage units are adjacent to RVs. The overall lack of upkeep by the full time residents is pretty bad. Now for the rest of the RV folks who use it as intended, the staff were fantastic. When I expressed my observations they rightfully responded that they do not write or approve policy. The laundry room and community room is small but very clean. Internet is available in the community room "most of the time". The sad part is that each and every RV circle has a dedicated signal from the router, they all show full 4 or 5 bar signals, but none were ever capable of managing internet data the entire month I was here. Suggesting it be repaired since the infrastructure was already in place was met with a simple shrug of the shoulders. On the other hand, the entire region is going through a tremendous drought, all grass is brown, yet a lawn service appears every Thursday and blows dirt over the entire area by running riding lawn mowers and weed eaters. I guess if they got the contract they are obliged to go through the motions regardless. What a dumb contract. I suggested they take a little of the money going toward the dust bowl and get the internet up and running (shrug). Sorry to be so negative, but being here 30 days certainly gives one a long time to observe the obvious. Famcamp or Trailerhood, you decide. Beale is a nice, although way out of the way base, fortunetly all you need is here as it is a long ways to anything else. We liked it and decided to move our 5th wheel into storage here so we could spend some of the winter here. OMG ! what a sad sack, nasty looking storage lot they have, trailers jambed in at what appeared to be 2 foot apart, no way would I leave a 50K trailer here for someone to crash into tryng to back into this lot. Sorry Beale, but we are moving on. I stayed here for a few nights before I headed north. Campground is well laid out and quiet. Used the laundry and showers, no problems. $1.50 wash/ $1.00 dry per load. The Main Gate is tricky if you have a big rig. Luckily I made it through with my 27' with toad. GPS tried to take me into the Doolittle Gate. Wasn't sure of restrictions, so I turned around and found the main gate. Dog loved the grass and the fact that there is lots of room between sites. There's a lake with a dock that can be used, and there were a few AF active duty that used the picnic area but no problems. I like this cg and will use it again if I'm out this way again. Since our visit last year (same dates), considerable improvement has been made in cleaning the men's bathroom. Check-in with Bonnie was fast and easy. We had a site that provided some welcome shade. We saw a couple of U-2's and an MC-12 flying but otherwise there was no air traffic during the day. We stop here to visit some friends and then we head further north. For our purposes, it is a great stop. The Commissary had some great sales and the fresh vegetables we bought were the best we have ever gotten from any commissary. It was really a nice, quiet and enjoyable stop. 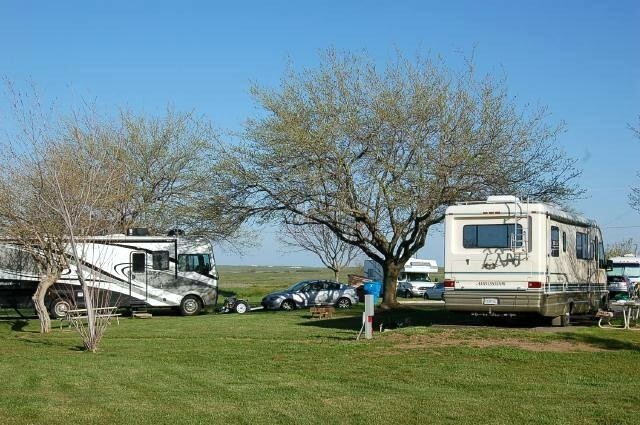 A really well laid out and maintained campground. Spacious sites of green grass. Level asphalt parking pads and concrete patios with table. Really quite, very little noise from the U2's. Not much to see or do in the area. A long drive into town. 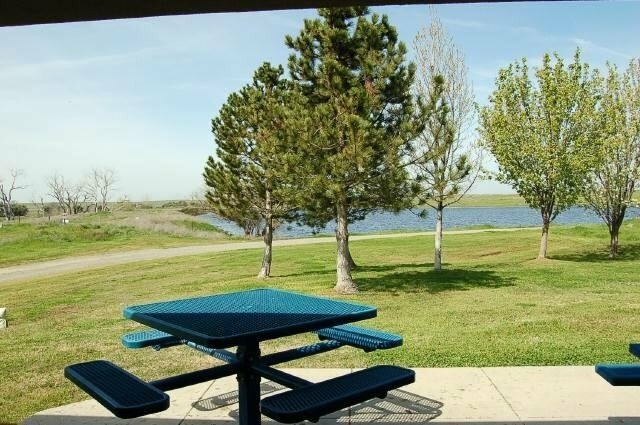 Several nice fishing lakes right at the rv park. Lots of areas to ride bikes or walk. Great place rest, relax and read a book. Used the laundry and it good. 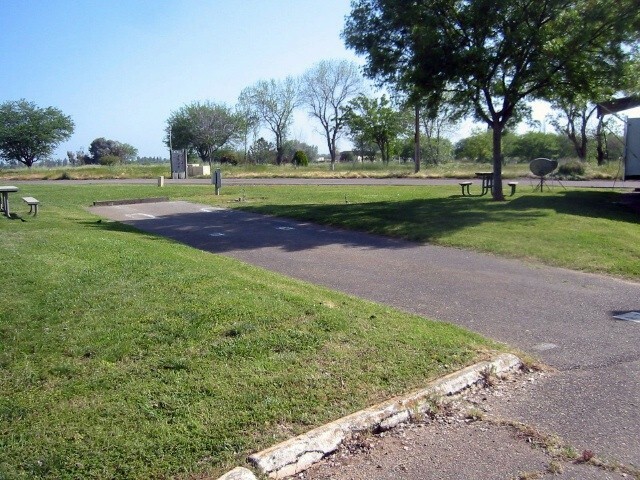 The campground boasts big, grassy sites that are not clustered together unlike many military campgrounds. 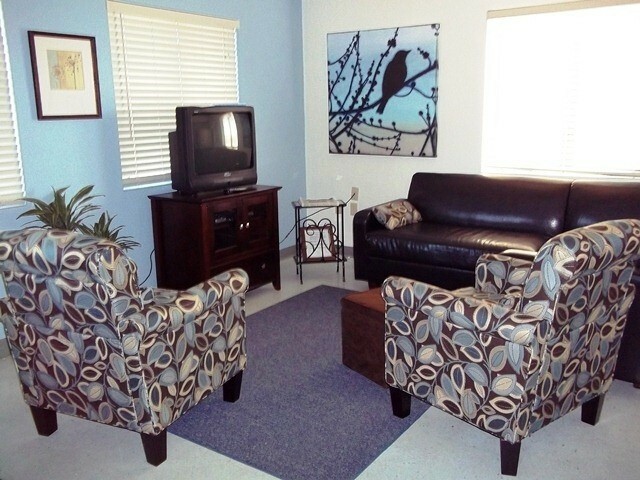 The base facilities are great and in convenient walking distance. In fact, one could walk or run for miles on the abandoned roads that surround the campground. To keep the grass green they water in the late evening, so watch your stuff. 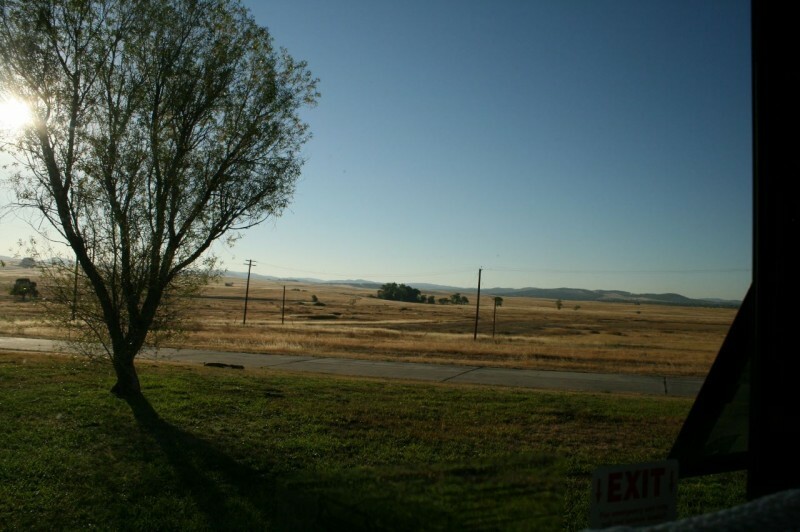 The base is convenient to scenic California Highway 49 and the Gold Rush towns, but not much else. Apparently, the option exists to select a site when making a reservation, because we were told that some vacant sites were unavailable because people were coming in at later dates. J.H. left this review using the Directory software: - The registration bldg. is on the NW side of the campground proper. We saw no sign to indicate this. We enjoyed our stay and would return. Lots of driving to get to the FamCamp. If you like to watch U-2s, you won't want to miss this base. This is our fourth visit to this Famcamp. This time the weather was exceptional which made for an enjoyable stay. We had made reservations and Bonnie had our space blocked out when we arrived. Bonnie does a good job as always. I would recommend that you use the Wheatland gate as it is also the truck entrance and has the easiest access. Our site was relatively level so we had no problems. The scenery is great and its very quiet and peaceful. We enjoyed walking around the lake, watching the otters play, and bike riding in the area. The only negative during our visit was the hot water in the men's shower was not working and there was a sign that indicated it hasn't been in quite awhile. The location of this base is not convenient unless you are visiting people you know in the area. On base, it is quite a drive from the main gate. However, it is well signed and you pass the base gas station on the way to the campground which is good. Bonnie, the camp host is very pleasant and helpful. The site we setup in was not level but my jacks automatically leveled without any cribbing. There is only one sink, one stool and one shower in the men's bathroom. The first morning, there was no toilet paper anywhere to be found. Whoever has been cleaning the bathroom has been taking it pretty easy. There was dirt along the walls and mold and dead bugs in the shower every night. I really enjoyed the nearby pond that was stocked with some fair sized fish. There were about 20 Canadian geese that seemed to be resident there. I was surprised to learn that during WWII, Camp Beale had a POW Camp with 1,000 German soldiers on the base. All that remains is a cell block but it was interesting looking at the pictures and words remaining. Make sure that your are entering the base via the main gate. Do not rely on your GPS to guide you to the Beale gate. On our first visit, my GPS directed me to a side gate down a very narrow road that is only open during limited hours. The security check point is VERY narrow and caused $11,000 damage to side of our coach. Turning around required disconnecting tow and doing a lot of maneuvering in a very limited space to get turned around and back out. While at the campground, I found a notice on the bulletin board warning campers not to attempt to use that gate because it was to narrow for large vehicles. (To Late) Other than that, wonderful stay. The base has a very nice golf course with friendly staff. We visited here for the first time today. We are staying three days. This FamCamp is OK, especially for the price of $15.00. All spaces are pretty much the same. All back-in, no pull-thru. This used to be base housing some time ago and was situated as six cul-de-sacs for single wide mobile homes. There is a rest room / shower but there is only one shower each of the two bathrooms for the whole site. There is a launderette in the same building with two washers and two dryers. The only real drawback I found was that most of the trailer sites are not level from end to end so you need plenty of blocking to get the jacks to work. The back of my trailer was almost on the ground and the front was three feet high to make it level. Some spaces are the other way around. The sewer connection in the ground was higher than the outlet from my trailer. Doesn’t work well that way. There were a lot more vacant base housing spaces just like this right next door so the camp could be expanded but the base has not chosen to do so. I don’t know if this ever fills up or not. We arrived without a reservation and had no problem but I think I might call ahead if there is ever a next time.